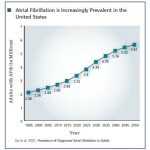 This year, around 785,000 Americans will have a new coronary attack. Around 470,000 will have a recurrent attack. Silver BookThis year, around 785,000 Americans will have a new coronary attack. Around 470,000 will have a recurrent attack.